This was my mother in 1968. 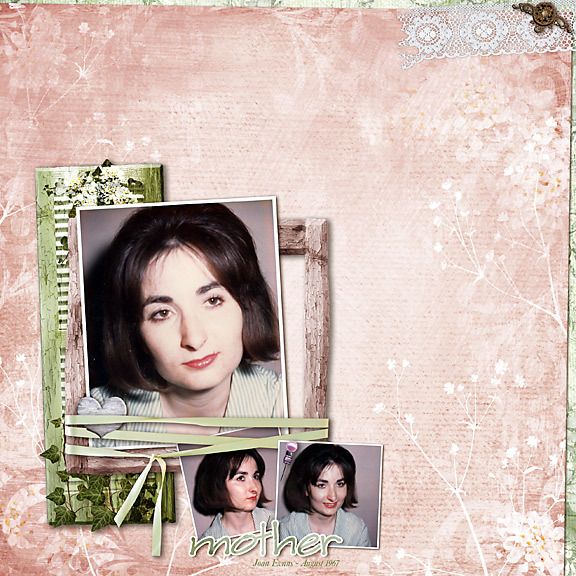 I created this layout using my new free template available on my fan page. Check out the FREE OFFER! My template set and kit was originally a collab with my dear friend Cheryl Peacock, formally Cherpea Designs. She is no longer selling but has offered up this kit for FREE!!! Yes, you read that right!!! 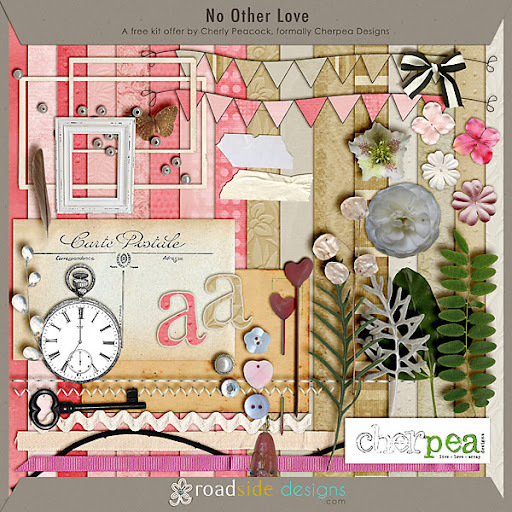 Just purchase both my No Other Love Kit and Template album and I will email you, within 24 hours, all the links to download this additional kit for FREE. And to allow you more time, I will leave my 30% Sale on this set, up through Tuesday, May 15.